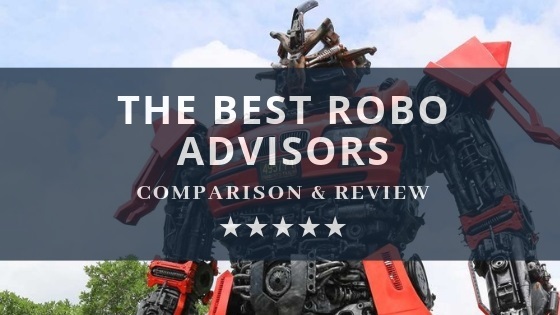 Our Definitive Comparison Of The 10 Best Robo Advisor & Automated Investing Platforms Reveals The Best Performance, Fund Selection & Lowest Fees. In performing the hundreds of hours of research for this in-depth review I have also been on a learning journey. Firstly Robo Advisory make a lot of sense for those people who want to invest but do not have the knowledge or time to thoroughly investigate every investment decision. Secondly, optimizing your tax loss harvesting and automatic portfolio rebalancing are a serious advantage of these services and can amount to an impactful saving compounded over many years. Lastly, having full access and transparency into the performance of your fund, and having your fund aligned to your beliefs is a seriously good step forward for the financial services industry. Robo Advisors are all the rage and a fast-growing sector of the financial services industry. Offering automated portfolios tailored to your life goals, personal beliefs, and your risk profile, much of the value of a human financial advisor is replaced with a structured and automated process. The huge bonus is accessibility to your portfolio performance from your computer or smartphone. The Robo Advisors also provide automated tax loss harvesting and portfolio rebalancing, which can save you a lot of effort, time and money. Welcome to the world of Robo Advisors. Vanguard – Personal Advisor Services – Great for Those Seeking A Personal Service. A Robo Advisor is a digital application that offers users financial advice created by algorithms, artificial intelligence, or mathematical formulas. The term Robo Advisor is short for robot advisor. However, the phrase Robo Advisor is inaccurate. To explain, a Robo Advisor is a digital construct, usually an algorithm or artificial intelligence (AI) rather than an actual robot. However, the terms “robo” and “bot” are financial-industry slang terms for digital financial applications. For example, so-called trading robots or trade bots handle most of the trades on the world’s financial markets. Interestingly, news reports indicate many financial industry professionals hate the terms “robo” and “bot.” However, those words are the standard industry technology for digital advisors at the present time. The idea behind Robo Advisors is that software is more accurate, more honest, and less biased than human advisors. For instance, a Robo Advisor is not likely to receive a commission or kick-back on equities or securities it sells. In addition, promoters claim Robo Advisors are less likely to make mistakes than people. Notably, algorithms are better at math than most humans. Lastly, Robo Advisors are not going to suffer from the emotional decision making that most investors and traders try to battle against. Launched in 2018 Emperor Investments brings something new and innovative to the table. Unlike most Robo Advisors all stocks that Emperor purchases on your behalf are directly owned by you and available in your portfolio, so there is no abstraction of ownership of the underlying assets, this is something I really like and consider important with any service you choose. Emperor charges 0.6% per year on assets under management, this is low compared to mutual funds, but higher than the average costs of competing Robo Advisory services. An important point here is although the average annual fees for Robo Advisors are between 0.25% and 0.35% per year, if Emperor delivers the expected real-world return of significantly beating the underlying index by 5% to 9%, the 0.6% fee they charge will be a small change, in fact, a bargain compared to the longer-term compounded gains you will receive. In addition to this, there are no hidden fees with Emperor, many competitors will charge additional fees for the ETF’s or Mutual Funds they invest in on your behalf, not so with Emperor, it is simply a 0.6% flat fee. Finally, to round off the service, Emperor harvests all dividends for you and automatically reinvests them. Fees AUM: 0.0% ★ Commission Free automated investing. ✘ Focused on US customers Only. M1 claims its funds offer a 9.87% rate of return. ★ Allows you to buy fractional shares of any stock or fund. ✘ Minimum balance of $10,000 for some services including lending. Visit M1 ★ Military grade 4096-bit encryption and two-factor authentication for security. ★ Offers lines of credit. ★ M1 Securities are insured for up to $500,000 by SIPC. M1 Finance is the only Robo Advisory service in our review that offers commission-free trading for their customers. This means your account will have no management fee whatsoever. This is very positive for the service, but the question is, how do they make money? They essentially make money from short-term lending of any available cash funds to the overnight inter-bank market, if you utilize their borrowing facility or if you invest in an M1 Plus account. Finally, they will receive some small rebates from liquidity providers for their order flow. This is all quite normal and used throughout the industry. Another great bonus of this mature service from M1 is that tax loss harvesting is automatically integrated into the account. This means that when you choose to withdraw funds from your account, the algorithms will consider which securities to sell giving priority to those that are incurring losses, so they can offset future gains, clever. On top of this, M1 promotes the purchase of fractional shares as a unique selling point, this means that if the portfolio you are invested in dictates a purchase of a share with a high price, you can still be fully invested with a purchase of a fraction of the share. Another nice addition is that there is an integrated checking account, M1 Plus, which includes a Visa card so you can access your funds easily. M1’s investing approach is based on expertly curated portfolios. Each portfolio is called a “Pie”, each pie is made up of multiple stocks with specific weightings based on what risk or exposure you seek. There are close to 100 expert pies to choose from with varying levels of return and past performance. You can select an expert pie or even build your own. The great thing is that when you send funds to your account the money is then automatically fully invested into your pie based on your allocation rules, and because there are no fees, this will not impact your account’s bottom line. M1 provides so many different expert portfolios to choose from and depending on when you open an account and choose to invest, the returns on your investment can vary. Suffice to say, M1 claims that on average their expert portfolios (pies) are within or slightly above the underlying market return. Fees AUM: 0.25% ★ Offers hybrid advisor services. ✘ Focuses on index funds rather than individual stocks. Betterment claims it offers 5% higher returns than the average US investor receives. Hidden Fees: None ★ No minimum investment needed. ✘ Could place some serious limits on investor choices and behavior. ★ Offers a variety of products including Trust Accounts. ✘ Claims to use “guardrails” to protect investors from themselves. Visit Betterment ★ Special services like tax-loss harvesting and socially responsible investing available. ✘ No details of security arrangements available. ★ Focused on smaller investors. Betterment offers a robust Robo Investing service centered around the individual. The service can be fully automated or can benefit from the use of the hybrid robo advisor service which essentially means there is also a human touch to the service and portfolio curation. The yearly management fee of 0.25% of assets under management (AUM) comes in at the lower end of the average fee structure of the other providers. The hybrid advisor service is an additional service which grants you access to a human expert Certified Financial Planner for a fixed cost. Plans are one-off payments from $149 for a “getting started” package, through to a retirement planning package for $399. I like the fixed cost approach to accessing the services of a financial planner as it makes your costs predictable. The Betterment investing experience starts with a series of questions so they can better understand your needs, goals and risk tolerances, which makes a lot of sense and is similar to the experience of having a human financial advisor. This then recommends a stock versus bonds allocation for your portfolio. The Betterment stock allocation at its core invests using Markowitz’ modern portfolio theory but instead uses ETF’s as the vehicle for low cost investing and international diversification. Betterment’s proven past returns according to its literature equates to a 5% higher return than the average US investor attains per year. This if course varies depending on your percentage of stocks versus bonds allocation you select in your account. One contributor to this solid return is the highly efficient approach to tax loss harvesting. Betterment is currently the third largest Robo Advisory service in the USA with over $13.5 billion dollars in assets under management. Hidden Fees: None ★ Easy to Use App ✘ No human financial planning advice available. ★ Allows Passive Investing ✘ Completely automated strategies. Visit Wealthfront ★ Offers tax-loss harvesting and other loss-mitigation strategies ✘ No details of security arrangements available. Wealthfront offers a completely automated service to their clients for a lower than the average yearly fee of 0.25% of assets under management. The unique offering here is that you can integrate all of your financial accounts, for example, your bank, and Wealthfront can analyze your spending patterns, income, and outgoings. They also are able to then combine what they have learned about you, with 3rd party information on mortgages, housing costs, school fees etc to be able to provide your personalized automated advice. So, if one of your financial goals is to save up for a deposit on a four-bedroom apartment in New York, they can advise you what the typical downpayment would be, how much you need to invest and how long it will take to achieve that goal. 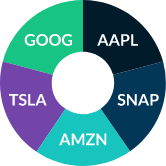 Like the other Robo Advisor services, Wealthfronts asset allocation is again based on Markowitz’s modern portfolio theory, which finds that broad asset allocation across asset classes is the best way to optimize risk and reward. This is then achieved using a Wealthfront selected set of exchange-traded funds (ETF’s) that have been assessed and rated for performance, stability and expected performance in different macro-economic climates. This like the other robo investment services is based on a mix of US and International ETF’s combined with exposure to Bonds and Real Estate. Wealthfront, to their credit, do not claim to be able to beat the market, instead, they are a safe and effective pair of hands to trust your money with. So, do not expect outsize fund performance, expect performance in line or slightly under the S&P 500. Many people have bought into this ethos as Wealthfront clients entrust them with over $10 billion dollars of their money, making them the fourth-biggest Robo Advisory Service in the USA. Hidden Fees: None ★ No penalty for withdrawals. ✘ Unclear if tax-loss harvesting is available. ★ Female CEO Sallie Krawcheck ✘ No details of security arrangements available. Visit Ellevest ★ Some hybrid services available on accounts. ★ Offers algorithms that are tailored for a customer’s salary, gender, and lifespan. ★ Private wealth management services available. ★ Claims to be designed by women for women. In a world unfortunately still dominated by men, Ellevest seeks to breath fresh air into the stuffy male-dominated investment industry. The unique selling point and the niche market that Ellevest have carved out is by focusing on the unique needs of women. Interestingly women live longer than men, usually have a career break for children and earn less than men, this means that women require different advice more suited to their life events. Our own stock market statistics have also uncovered that women tend to invest in the stock market less than men, so I am certainly in favor of a service that makes investing more accessible and tailored to women’s needs, and it all starts with the ability to open an account with Ellevest with no minimum deposit. Ellevest also caters for the more socially responsible and caring nature of women by offering portfolios focusing on sustainable and accountable companies, including prioritizing investments in companies that promote women’s issues, have more diversity of women on the board and companies that can demonstrate reducing carbon footprint and promoting environmental change. This is all to be applauded, but what about performance. Ellevest does not promise to deliver performance better than the benchmark indices, instead, it counters that notion by suggesting that it is reaching your financial and personal goals that are more important than great performance. The typical Ellevest portfolio will include US stocks, international stocks, currencies, bonds and real estate, some of which includes socially responsible impact funds. Hidden Fees: ETF & Mutual Fund Fees ★ Bases portfolios on an investors’ risk tolerance. ✘ $5,000 minimum investment required. Visit Advisor ★ Hybrid advisors available. ✘ No details of security arrangements available. With $5,000 you can open a Morgan Stanley Robo account and for the pleasure of using their service, you will be charged a 0.35% fee on assets under management. In addition to this, the small print indicates there are additional fees for the ETF’s and Mutual Funds that you will own. For this initial investment, you will receive an automated detailed initial investment plan tailored to your goals and risk profile based on the questionnaire you complete online. They also offer hybrid advisor services so you could also speak with or get some human advice on your portfolio. Again as with many of the robo advisor services, there are no claims about returning market-beating percentages to customers, instead, the service is focused on enabling an automated and balanced portfolio recommendation. So do not expect to beat the market. One thing I like a lot is that they offer you the flexibility to also select topics that you feel passionate about and they will skew your portfolio in favor of companies in line with your values or beliefs. For example, if you prefer your investments to tilt in favor of companies or funds that promote gender diversity, climate action or even robotics & artificial intelligence the Morgan Stanley Access Service will have you covered. Hidden Fees: None ★ Socially aware investing available. ✘ No banking services or insured accounts available. ★ Personalized portfolios available. ✘ No details of security arrangements available. Visit TDA ★ Free tax-loss harvesting on all accounts. This service starts off well with a relatively low fee of 0.3% of assets under management and no hidden fees. You will need $5,000 to initially open an account. You then begin by answering a few questions about yourself and what you would like to achieve, then TDA will recommend one of five core portfolios based on your information. You do have access, at least via the messaging chat system, to ask questions to the portfolio management team. Like many of the other Robo Advisor services, TDA will recommend a selection of exchange-traded funds (ETF’s) based on modern portfolio theory, which seeks to minimize risk and optimize reward. The ETF selection is essentially based on the research performed by Morningstar analysts. It is nice to see that tax loss harvesting and automatic portfolio balancing is included and available for all accounts. Finally as a socially responsible and environmentally aware person myself, I am glad to see that TDA offer a selection of five socially aware portfolio options so you can invest in alignment with your beliefs. Vanguard Personal Advisor Services – Great for Those Seeking A Personal Service. ★ Custom Financial Plans available. ✘ Owned by a mutual-fund operator. So Vanguard has an incentive to push mutual funds. Visit Vanguard ★ Phone support available to US customers. ✘ No details of security arrangements available. The Vanguard service approach is a people first solution with Robo management of the portfolio once established. To access this service you will need to invest $50,000 from the beginning, which means that Vanguard is targetting affluent or those on the road to being affluent. For this $50,000 you will get a personal advisor who will get to understand your needs, goals and risk profile and then construct a portfolio for you. Once this is established the portfolio will be provided to you online so you can check the progress of your investment choices. The reinvestment of your additional funds and tax loss harvesting is automated. The personal touch costs more, with a yearly fee of 0.6% of assets under management and additional costs of the ETF/Mutual Fund fees, this is at the higher end of the cost spectrum of Robo Advisors. This does not seem to matter to most as Vanguards is the largest Robo Advisor Service in the USA with over $100 billion in assets under management. Finally, you can access your advisor via email or phone as you wish. As Vanguard is one of the largest providers of ETF’s and Mutual Funds, it, of course, selects its own funds to be part of your suggested portfolio. This earns them fund management fees in addition to the 0.6% AUM fee for your account. Vanguard does not claim to provide outsized returns it is really more focused on a higher level of customer service and the personalization of your portfolio based on your life goals. Do not expect stellar profits, but do expect good customer service. ★ Open to any US resident over 18 years of age. ✘ May automatically invest in fee-charging accounts like the Fidelity Government Reserves Fund. Visit Fidelity ★ Fidelity will offset some additional fees with a variable fee credit. ✘ No banking services available. ★ You can start investing with as little $10. ✘ No details of security arrangements available. Fidelity Go is one of the smallest Robo Advisor services, but they are investing in growing their assets under management. The service itself is relatively simple. You select how much you want to invest per month and how aggressively balanced you want your portfolio and Fidelity will do the rest. An aggressive portfolio allocation will balance in favor of US stocks 60%, foreign stock 25% and Bonds at 15%. The most conservative balance would be for those nearing retirement with 20% US and international stocks, and 80% bonds and short-term cash. Of course with Fidelity, you can always access their human personal financial advisory services for a fee. Talking of fees, the costs of this account amount to 0.35% of your assets per year, plus any ETF fund fees according to your fund allocation. For me, this is not the ideal mix of either personal service or intelligent performance driven Robo Advisory service. Add to this the fact Fidelity do not even choose the assets to invest in, this is outsourced to a third party, it is overall a half-hearted attempt from Fidelity to enter a booming robo advisor market. Hidden Fees: None ★ Hybrid advisors available. ✘ Tax-loss harvesting only available on portfolios over $50,000. ★ A portion of the funds is held in an FDIC insured account at Schwab Bank. ✘ Schwab admits to making money off sales ETFs and other investment products. Visit Schwab ★ A variety of accounts including IRAs, custodial accounts and trust accounts are available. ✘ No details of security arrangements available. ★ Schwab claims its robo advisor can automatically re-balance accounts to lower risks. Schwab is the second largest provider of Robo Advisory services in the USA with over $27 billion in assets under management. Unlike the other behemoth Vanguard, Schwab does not charge you a fixed yearly fee for your assets under management, this is a bonus, instead, you will only have to pay for the exchange-traded fund fees. There is no hybrid advisor option, the system is fully automated this helps reduce overall costs. Schwab makes no claims to portfolio performance, so you can expect performance to be lower than industry benchmarks like the S&P 500. Typically a Schwab portfolio will consist of US stock ETF’s, international stock ETF’s. emerging market stock ETF’s, and Bonds. In performing the hundreds of hours of research for this in-depth review I have also been on a learning journey. Firstly Robo Advisory make a lot of sense for those people who want to invest but do not have the knowledge or time to thoroughly investigate every investment decision. Secondly, optimizing your tax loss harvesting and automatic portfolio rebalancing are a serious advantage of these services and can amount to an impactful saving compounded over many years. Lastly, having full access and transparency into the performance of your fund, and having your fund aligned to your beliefs is a seriously good step forward for the financial services industry. In summary, I am very interested in Emperor Investing, can they really produce outsized market returns, something that no other provider claims to offer. In addition, M1 Finance hit the sweet spot in portfolio selection with its offering of 100 different professionally selected portfolios for you to choose from. However, I like the Ellevest approach for a female-oriented service and Morgan Stanley ability to skew portfolios in favors of my investing and social preferences. ★ Option for dividend re-balancing available. ★ Tailored portfolios available. ✘ No Tax Loss Harvesting Yet. ✘ No ETFs or mutual funds available. M1 Finance ★ Commission Free automated investing. ★ Allows you to buy fractional shares of any stock or fund. ★ American accounts are insured up to $250,000 by Federal Deposit Insurance Corporation. ★ Military grade 4096-bit encryption and two-factor authentication for security. ★ Low minimum accounts balance of $500. ✘ Focused on US customers Only. ✘ No hybrid advisors available. Betterment ★ Offers hybrid advisor services. ★ No minimum investment needed. ★ Offers a variety of products including Trust Accounts. ★ Special services like tax-loss harvesting and socially responsible investing available. ★ Focuses on retirement. ✘ Focuses on index funds rather than individual stocks. ✘ Could place some serious limits on investor choices and behavior. ✘ Claims to use “guardrails” to protect investors from themselves. Wealthfront ★ Offers free financial planning. ★ Offers tax-loss harvesting and other loss-mitigation strategies. ★ Low $500 minimum investment required. ✘ No hybrid advisors available. ✘ No human financial planning advice available. Vanguard Personal Advisor Services ★ Offers both hybrid investors and robo advisors. ★ Custom Financial Plans available. ★ Phone support available to US customers. ✘ $50,000 minimum investment required. ✘ Charges higher than average fees. ✘ Owned by a mutual-fund operator. So Vanguard has an incentive to push mutual funds. Schwab Intelligent Portfolios ★ No advisory fee and commissions on some accounts. ★ A portion of the funds is held in an FDIC insured account at Schwab Bank. ★ A variety of accounts including IRAs, custodial accounts and trust accounts are available. ★ Schwab claims its robo advisor can automatically re-balance accounts to lower risks. ✘ $5,000 minimum investment required. ✘ Tax-loss harvesting only available on portfolios over $50,000. ✘ Schwab admits to making money off sales ETFs and other investment products. Fidelity Go ★ No Minimum balance required to open accounts. ★ Hybrid advisor services available. ★ Open to any US resident over 18 years of age. ★ Fidelity will offset some additional fees with a variable fee credit. ★ You can start investing with as little $10. ✘ Higher than average fees. ✘ The day-to-day investment trading decisions are made by 3rd party "Strategic Advisors LLC"
✘ May automatically invest in fee charging accounts like the Fidelity Government Reserves Fund. ✘ No banking services available. TD Ameritrade Essential Portfolios ★ Hybrid advisors available through professional Portfolio Management. ★ Socially aware investing available. ★ Free tax-loss harvesting on all accounts. ✘ $5,000 minimum deposit required. ✘ No banking services or insured accounts available. ★ Claims investment algorithms are designed for women. ★ No penalty for withdrawals. ★ Offers algorithms that are supposedly tailored for a customer’s salary, gender, and lifespan. ★ Some hybrid services available on all accounts. ★ Private wealth management services available. ✘ Charges additional fees for hybrid advisory services. ✘ It is not clear if tax-loss harvesting is available. ✘ No details of security arrangements available. Robinhood ★ Offers cryptocurrency investment. ★ Offers option and ETF investment. ★ Claims to be commission free. ★ No minimum investment required. ✘ No hybrid advisors offered. ✘ Robinhood shut down its cash management services in 2018 after critisicm accounts were not insured. ✘ Serious lack of transparency. Morgan Stanley Access Investing ★ Offers a detailed investment plan. ★ Bases portfolios on an investors’ risk tolerance. ★ Algorithm runs thousands of simulations to forecast portfolio performance. ★ Hybrid advisors available. ✘ Higher than average fee. ✘ $5,000 minimum investment required. Do you use a Robo Advisor? Let us know about your experiences, leave a comment below.